In the event that some of my Liberal friends are lethargic after too much turkey and holiday libations, not to mention their recent election victory, I thought I would write something today to get their juices flowing as we enter 2016. Let me start by saying the honeymoon will soon be over, much more quickly, I suspect, than most people have predicted. Trudeau the personality will remain in the spotlight for some time to come. But Trudeau the Prime Minister is about to be tested on substance in a manner experienced by only a handful of his predecessors. Selfies and media events, tears, and pure theatre are not going to cut it for much longer with most Canadians. 2016 will provide many serious challenges for Prime Minister Trudeau and he will be judged on how he actually deals with them. And let me say here that judgement on election promises, kept, revised or broken, should not be the key criteria. There is a huge difference between running an election campaign and the reality of running a government. It is a strong leader that recognizes the difference and acts accordingly. Spending the first part of 2016 unpacking legislation from the previous government passed by Parliament but disliked by the Liberals, currying favour with indigenous people by telling them they do not have to be transparent with taxpayers’ money, or continuing to tell the world that Canada is back when we never went away, will be nothing more than an unappreciated detriment to Canadians. Instead they need to see the government acting boldly and effectively on key issues such as our sinking economy, the new reality of worldwide terrorism and our role in stopping it, and, of course, the environment. These are the three key priorities and strong debate and effective legislation on these issues are what Canadians are looking for. How they are handled will make or break the Trudeau brand. While Canadians gave the Liberal Party a strong mandate in 2015, they also created a strong Opposition which has the duty in our democratic system of holding the Government accountable. The Conservative Party, as the Official Opposition, will do just that. They received 32 per cent of the popular vote in the last election with the support of 5.2 million voters. They welcomed 33 new members of Parliament to their caucus: bringing new blood and fresh ideas. They have a strong base from which to regain the trust of Canadians and present themselves as a reasonable alternative to the current government in 2019. Interim Conservative leader Rona Ambrose has already started that process with a bright team of front benchers in the House of Commons, a new tone for her Party, and a respectful but determined approach to keeping the Trudeau Government on their toes. 2016 will also shine the light on the Conservative Party as they begin the process of selecting their permanent (as permanent as anything gets in politics) leader. It will include an evaluation of what the Conservative Party really stands for, a reminder of the important role Conservatives have played in creating our Confederation and molding Canada into a strong and highly respected country over the past century and a half. It will emphasize the importance of a strong economy, low taxes, balanced budgets, sound fiscal management, and the security of our Nation. It will give Conservatives an opportunity to show a fresh face and a political acumen that will regain the trust of Canadians. There are a number of men and Women in the Conservative Party who are well qualified to become the next Prime Minister of Canada. One of these is our own Member of Parliament, Tony Clement. We have been well served by both Provincial and Federal members in Parry Sound-Muskoka. In recent years we have had two members, Frank Miller and Ernie Eves, who went on to be Premiers of Ontario. Ken Black was a Minister in the Peterson Provincial Government and Andy Mitchell was in the Cabinet of Prime Minister Paul Martin. All of them were hard working representatives for their constituents and Tony Clement is up there with the best of them. The hat trick of course would be to have a Prime Minister from Parry Sound-Muskoka. 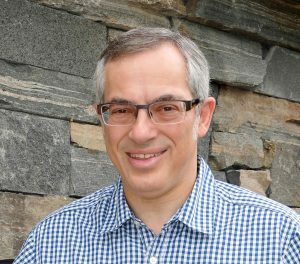 Tony Clement has not said he will seek the leadership of the Conservative Party, but he has said he wants to play a key role in rebuilding it. There are other signs as well that he is interested, including a compelling op-ed piece, written by Tony this past week in the Globe and Mail, and back-room chattering that a team is coming together. I hope it is true because I believe Tony Clement would be a formidable candidate to lead the Conservative Party. I know Tony’s wife, Lynn, and her parents, Doug and Barb Golding, better than I know him, as they are all Port Sydney stalwarts where I did much of my growing up. I do have a friendly relationship with Tony Clement but I would not say that we are close. This may well be because I was strongly involved in Ernie Eves leadership campaign to replace Mike Harris, an event in which Clement was also a candidate. However, I have great respect for Tony’s political record and for the manner in which he has served Parry Sound-Muskoka. Tony Clement has a bucketful of effective political experience, at the very least equivalent to anyone else who might enter the field. 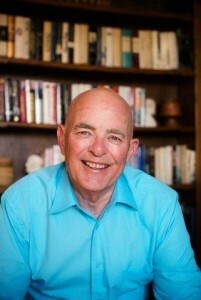 He has held important Cabinet posts both at Queens Park and in Ottawa. During the time he was Minister of Health in Ontario, Tony Clement played a pivotal role in containing a critical SARS epidemic at a time when it was running out of control in other parts of the world. He has a sound record of effective issue management. There is no doubt that Tony Clement is a strong Conservative but he is not a right wing zealot. After all, in his early years he was mentored by Mr. Conservative himself, former Premier Bill Davis! And like Bill Davis, Tony Clement has a strong vision for Canada. The Liberals do not own that. And so 2016 will be an exciting year for political junkies in Canada, as Justin Trudeau struggles with the issues of the day and the Conservatives work to rebrand themselves. Who knows where it will lead? All of the above is true and he is also a really nice guy who blends in with his fellow Canadians. Tony remains one of the hardest working politicians I have ever seen. While some may question his vocal stylings , none should question his energy and enthusiasm to serve ? I agree with Mr. Beatty’s comment. Well said. Tony was also instrumental as President in rebuilding the Progressive Conservative Party of Ontario in the Late 80s. Let’s hope Trudeau is up to the job before him. His smile and congenial mannerisms, will only take him so far. Canadians will demand meat between those soft slices of bread soon. Hope soon fades if you are unemployed or hungry. They welcomed 33 new members of Parliament to their caucus: bringing new blood and fresh ideas. They have a strong base from which to regain the trust of Canadians and present themselves as a reasonable. You might want to write an article about the fresh ideas as I have not heard any new ideas from the Conservitive Party. I am not a member of the Conservitive Party and only have heard the negative campaign information that had no “new” ideas. The Conservative are going to have a hard time rebranding themselves from the the last ten years but they have to realize that they lost the election which appears to be a hard for them to come to terms with.